« How turn a negative trial into a positive one? Simple, just cheat! Hey, it works! The chiropractor puts my bones back in place and the Naprapathy doc then puts my muscles and ligaments back in line. I know it works because I feel great! No more pain! The idea is that if you put the ligaments back in Place they hold the bones in place longer. I now only go to the chiropractor once a month instead of every week! The bones back in place and the muscles and ligaments back in line… right! This must be the most innovative and fabulous description of what actually happens during the chiropractic/naprapathic fondling. If that’s what they tell you, Cindy, I am beginning to believe they are really worth their money. Now, in all seriousness, please, at least know that none of this has any actual effect on you (except for some potential risk, which has been verified and you have to live with). I would suggest asking a couple of actual health experts and taking up simple massage instead, as you will be safer that way (and with more money in your pocket). Nothing that a good physio couldn’t help with, and they are proper educated without claiming to be a healer. I struggled for years with bad shoulders, neck and lower back pain. My physio said it straight out, you are too lazy and don’t have enough muscle mass. I started working out with a PT, and as if by magic (hard work) i am fit and fine. Hey Mike that is great. Actually the PT degree is very similar to the Naprapathic degree…..just about the same requirements and the same full-time three year program. A good PT can be worth there weight in gold…..as a good Naprapath. No one natural healing physician lays claim to be the “only way”. But there are as many who have not had the amazing results as many PT’s have fallen into a bit of a minimalist pattern as I have seen specifically ones who have worked with the elderly and my mother, given them ultra generic routines that just get them to move with little else benefits. But glad you put in the work and are reaping the benefits. The Naprapaths I know, too, are referred to as being magical. As for healers, well this is just language. Many patients being healed feel they are, as they do in all fields. So I would lighten up on that one. Except that they have been in business since 1902 and what you say, your snarky opinion to which you are clearly entitled to, has not happened and will not happen in your lifetime. I am guessing you have never been to a Naprapath so this comment holds little merit. Is there no end to this stupidity? The word naprapathy is a very odd name. The college says napravit is a Czech word for “to correct” and pathology is “suffering”. Many people 100 years ago were exploring different techniques to help the body heal when patients came to them because medical science wasn’t much better in the late 1800s when the professions of osteopathy, chiropractic and naprapathy emerged. While “medical doctors” were treating people with radium water to cure everything from arthritis to impotence, an “Ecraseur” to tighten and squeeze around a cyst or hemorrhoid, Plombage to treat tuberculosis by creating a cavity in a patient’s lower lung and filling it with a foreign material such as lucite balls to collapse the lung, gasoline to cure lice, morphine for teething babies, mercury for syphilis, starvation diets for aneurysms, and hydroelectric baths for migraines – these “natural cure” folks were using their hands to relieve pain. In fact, even today medical doctors treatments and interventions kill more people (you must certainly know the term iatrogenic deaths) each and every year than the number of Americans killed in Viet Nam. Yes, each and every year. Whereas the naprapathic profession has killed no one. Not a single one in 100+ years and not even one malpractice suits, yet has relieved the pain of hundreds of thousands. So who are you to talk about “quackery” and stupidity? Essentially, naprapathy grew out of chiropractic when one of the first trained chiros felt that the chiropractic theory was essentially flawed. Oakley Smith was that guy and he created what is now referred to as myofascial release. The idea of stretching the body, using certain mobilization techniques to free up constricted joints, massaging to encourage blood flow has been proven time and again by the physical therapy profession. Why the PTs? It is because the research hospitals and organizations that fund well-designed research studies do not fund naprapathy because of people like you who are threatened by other professions who help people feel better without drugs or surgery. Maybe it is just that they feel that the profession is too small — and the fact that the same research is being done in the name of physical therapy but being called “manual therapy”. Why so negative on a profession that has never harmed anyone? I suggest going after MDs who do surgery when more conservative methods are just as effective – like manual therapy, physical therapy, naprapathy, acupuncture, etc – or who prescribe more dangerous drugs because the profession almost always prescribes a pill for everything. Pills that more often than not have the potential for extremely serious side effects. But you probably won’t post this to protect your profession … sad. John Rauser what a wonderful rebuttal you have offered. Thank you. Clean, factual and unbiased. I have loved Naprapathic Medicine for over 40 years. Recently I attended a lecture by a Chiropractor, Dr Faulkner, who wrote a book called The Chiropractor’s Protégé: The Untold Story of Oakley G. Smith’s Journey with D.D. Palmer, many of which have never been published before Faulkner shares Oakley G. Smith with the reader. The book is a treasure and includes photos of D.D. Palmer that were found along with Smith’s journal as well as stories and anecdotes about the founder of chiropractic that are refreshing and fascinating. It was stunning to learn that Dr. Oakley Smith was responsible for much of the Chiropractic theory and curriculum before leaving to found Naprapathy. One may say a chicken or egg story. Chiropractic finds primary pathology relating to bone subluxation and Naprapaths find the primary pathology in connective tissue damage ei contracted muscles, ligaments and tendons which thereby create a secondary pathology for the abnormal pressure on the vascular, nervous and lymphatic systems. By stretching the contracted tissues, according to their specific fiber directions, you relieve the impingement upon the other systems. It feels amazing and balancing. I personally will always use nature medicine and healing as a first resort, my primary care. The world has changed and this is a norm for many. As you said it is amazing the negativity some need to stoop to without offering anything other than their shallow factless criticisms. Obviously, the ones who call naprapathy “quackery” have never tried it. It works. As far as I am concerned, my naprapath saved my knees. Two different PTs and an orthopedic surgeon couldn’t relieve my knee pain, but she did. It took time and money, but it was time and money well spent. I second Cindy Bean’s comment. Don’t knock it until you’ve tried it. Obviously, you haven’t a clue about science and evidence. Lots of negative rebuttal and certainly that is a whole lot easier to spew off than actually putting in the time to study the science of connective tissue damage and the subsequent pathologies to the vascular, nervous, lymphatic and structural systems. The problem with negative rebuttal is at the end of the day that is all you have to show for yourself….your opinion. Let your mind be a parachute and experience Naprapathy. I laugh because I know so many Naprapathic docs treat so many allopathic docs….smart that they know where to run when their back is locked up and more. And ha ha if I want to get fondled I will go to irreputable dentist or doc who loads me up on anesthesia…too many cases of that. But looks who is playing your game. It was not fun as I have high regard and respect for the many amazing medical/dental trailblazers, although I am betting you have a section here that tears them down too! Just wondering did you used to bully other kids on the play ground? Cause that is all you are doing here is being a word bully. And yes words have consequences. But imagine the good you could do for this world if your actions were a fertile ground for growth. Go see a Naprapath and feel great. Then come back and make a comment based on experience! Your opinions are just that…opinions. Baseless word bullies. These clever Napropaths are excellent marketers. They even have a “School” in Santa Fe New Mexico. They trade their services, for Advertorials in the local papers Opinion Section. That is a way to get around the Advertising and false health claims laws or what is left of them. They found that fear of “Addiction” is a great misleading marketing tool. Our state has a real problem with Heroin Addiction, which they are still claiming is due to prescription drugs. It is unlikely that Napropathy has had any impact on Heroin Addiction, yet they are peddling their services as if they do. It is no wonder our state has the highest rates of Heroin Addiction and Suicide in the nation. Our country used to have laws about false health claims, now they get around the laws with misinformation, and well placed Advertorials. There have been no “Studies” of Napropathy here in the US, because the outcomes would be subject to examination. It looks like they decided the Swedish Studies were good enough Sweden has Universal Healthcare, and Labor Regulations, unlike the US, so their subjects would not correlate with American Subjects. Here in the U.S.A it looks like the goal, in healthcare is to mislead people, in order to maximize profits. The real test here should be, Is this treatment better than, say a really good massage, by an excellent masseuse? It is unlikely the answer would ever be yes. These “Techniques” were developed because massage takes time, and it is physically impossible for a masseuse to make an exponential amount of money. Chiropractors and napropaths can sell us on the idea that a few moves, performed quickly in the office, is equivalent to an actual massage. Of course there has never been any testing or comparison, because the findings would not support the quackery. In Sweden they have access to actual healthcare, and time off from their work when injured, unlike the US. So they would not represent a sample of American “Pain Patients.” They carefully worded that the pain lasted > than 2 weeks, in the subjects. This does not mean that any had the kind of chronic pain, that many Americans are dealing with. They mislead us all by claiming this is a representative sample, when it clearly is not. Our local napropath traded free sessions with clinic workers, at a low income clinic, in order to get a free endorsement in our local paper. They even got a Physician there to claim Napropathy could stop Opiate Addiction, even though there is evidence to the contrary. Santa Fe New Mexico has high rates of heroin addiction, suicide, hopelessness and despair, and Napropathy, along with other alternative medicine, has not impacted the numbers one bit. In Fact it appears to have added to the level of despair. No one keeps track of the number of people who had a diagnosis postponed, because of a napropath, and that postponement led to more injury or disability. People market this stuff as if it is harmless, but it is not, it is dangerous, for the percentage of people with serious physical injury, cancer or misdiagnosed underlying condition. The same Physician that recommended the napropath, referred a patient with kidney cancer to a Chiropractor, even though she was a long term patients, at risk of kidney cancer. The poor woman spent her limited SS check on a Chiropractor who sold her useless herbs supplements, and had her come in 2X a week. These dangerous alternative practitioners have no qualms against taking money form sick and desperate people. This poor woman saw this physician over the course of three yearas as her cancer advanced, and she became sicker. The Physician attributed her “Back Pain” to Hysteria or Conversion disorder, in order to keep the clinics expenses down. The US has the most expensive and least effective healthcare in the developed world, so these clever hucksters found a way to exploit the most vulnerable. sick and desperate among us. It would not surprise me at all if the testimonial on here for Napropathy were paid for, by the industry. These alternative practitioners know how to deceive the public through social media advertising, and trolling sites like this. Mavis as a fellow New Mexican from Santa Fe I am surprised you are against something that natural and may be able to help a person help in a drug free way. You may also want do some research into Naprapathy. I find it coincidental that you may this review the same day my wife went in for her first therapy session at the school you mentioned. My wife has visited masseuses, chiropractors and has been on medication for her pain for a long time, and after her first visit to the school she was able to walk a lot better than she ever has. Her chronic pain has subsided quite a bit, and she has been able to do a lot more than she has the last two and half years. The therapist was able to diagnose that her hip alignment was off, and was causing her to be unable to handle any pressure to it, including walking. But I guess it is all quackery because you say so, and you want our state to continue down the road of overprescribing opiates. New Mexico has some of the most restrictive opiate prescribing rules in the nation. In Fact, because there was a long term problem with heroin addiction here long before the so called “Opiate Epidemic” rules were put in place in 2011. New Mexico was one of the first states to implement a Prescription Monitoring Database. Your Wife’s anecdotal story, while great for your wife, does not apply to many of the people who are already living with Intractable Chronic Pain. It is unlikely your wife, had an immune disorder, multiple spine surgeries, or a battlefield injury. These types of conditions are often confused in marketing like this, where they portray all pain conditions equally. The marketing and hype in Santa Fe, has been really deceptive. If these alternative cures, actually worked then why are there so many Heroin Addicts here or in Rio Arriba? The Medical Marijuana Industry uses the same kind of deceptive fear based marketing. It has led to more ignorance, and a viral kind of blame directed at people with chronic pain. I have friends and acquaintances in Santa Fe that are considering suicide, because they live with chronic pain, and they have spent thousands on these alternative treatments. There has been no research on how postponing care, by seeking out alternatives, could lead to more chronic pain. ad a No Agency in New Mexico keeps track of how many people are hurt or have had a serious condition go unchecked, because of alternative treatments. I have an acquaintance who is drinking herself to death, because she has had several spine surgeries, and her doctor told her that the rods they placed in her spine, now need to be removed. I know a woman with multiple hip surgeries, the implants they gave her failed, and subsequent surgeries did not relieve the pain. She was a vital woman who loved to cook and a talented artist. The untreated pain, and the non opiate pain relievers turned her into a zombie, who can barely leave her home. The Problem here Mr Sandoval, is that deceptive marketers like these Napropaths, Chiropractors, Medical Marijuana, and the other Quacks in Santa Fe, equate occasional pain that resolves over time, with serious painful health issues. Almost a third of all people who undergo spine surgery are left with chronic pain, and in some cases opiates improve their quality of life. People do not need opiates or medical intervention for every little thing, but they do make life a little more livable for people with intractable chronic pain. New Mexico is dealing with a lot more than the so called Opiates Epidemic. There is long term poverty, inequality, and lack of opportunity. It is really an Epidemic of Despair. The problem is generational here. At the same time there is a lack of access to adequate healthcare. The Psycho Social problems led to the addictions and deaths of despair. At the same time there is a pattern of denial, and it is furthered by this kind of deceptive marketing. Our local news media has been running a false narrative about addiction, poverty and lack of opportunity. If they had been factually covering the issues, and people were truly informed, they would not fall for deceptive marketing. Currently the narrative around opiates, gets attention Marketers s call it “Engaging” using and emotional hook to get people’s attention. Fear based marketing is effective. Our state epidemiologist declared that New Mexico was at the “forefront” but that was only because we already had a large number of heroin addicts here for decades. For local news misinformation, announcing that prescription drugs are to blame, just sounds better than endemic heroin addiction. It also silences all of the people with chronic pain, the medical mistakes, injured blue collar workers, and seniors who worked hard all of their lives, and now are forced to live with serious painful conditions. The lack of empathy here is palpable. It is highly unlikely that any of these alternative treatment can cure anyone with serious medical conditions, yet they continue to market them as if they do. Driving south through Espanola, I saw one alternative practitioner after another, yet there are still people addicted to Heroin, and other drugs. There is still massive inequality, displacement, and despair. On top of it all there was Denial. They have truly gone crazy in new Mexico. There is zero evidence that Napropathy has had any effect on our local Heroin Addicts. This Napropath was really pleased with this free advertising. This underhanded attack on the disabled who could be “Addicted” even though physicians are not prescribing opiates much anymore, and the death rate from Heroin has only been slowed due to reversal drugs. New Mexico had a Heroin problem long before the current so called opiate epidemic. It should be considered ghoulish to promote a profitable business, by claiming people on SS with Musculo Skeletal injuries are drug addicts. For every one of the studies he took from major media there are several to discredit them. There used to be Laws regarding his kind of misleading healthcare advertising. Now we have D.O.Ms peddling Stem Cell treatments and infusions. One of the most notable ‘Doctors of Naprapathy’ was Dr Harlan Tarbell who worked as a medical assistant in the first world war and did indeed have success in helping local people on the European continent in its aftermath. He acknowledge that his success in this field was due to the force of his personality, and the techniques he had learnt as an entertainer before the war. He had started out as a professional magician, and after the war, returned to develop the much acclaimed ‘Tarbell Course in Magic’ – which is still available today. He always used the moniker ‘Dr Tarbell’. I am not surprised, the two enterprises are similar, both use deceptions, and tricks. It looks like that troll, removed his nasty comments. Our local Napro Paths like to use Internet Marketing, encouraging their students, patients, and even local physicians, who work with low income patients that can’t even afford Napropathy, to endorse them on social media. They even got a local “Disability Expert” to endorse them, while provoking more stigma and hate at people with disabilities. Most of the information in his Advertorial is incorrect if not an outright lie. Richard that does not say it all. Your comment is about Dr Harlan Tarbell, an actor and magician. Speaking about his title in no way should imply every one is the same anymore than you would want someone to say that about you. Dr Patch Adams was a clown…but that did not make him less of a doctor. Such bunk and stereotypical assumptions. Fortunately there is a whole world leaving you behind and your assumptions. The admissions requirements for Naprapaths in America are similar in nature to a physiotherapist. One difference is the requirement of CE’s for the license which is not required for PT’s. As part of the pre-degree expectations for Naprapathic license and for PT, there is no call for magician course work. And though what you said bares truth and humor, it is unique to Dr Tarbell. So be mindful please. You are judging ones professional work on a limited scope of professional knowledge. 1.) Asking the patient to push against the practitioners force with some (agonistic) muscle, e.g. trying to force the patient’s arm downwards while the patient is pushing it upwards. 3.) Repeating step 1 with the same muscle (as in step 1). To me it sounds really plausible that muscle tone is changed on one side of a joint or of the body to “make ready” from a strike or push or something similar from the other side, but I’m largely sceptical that this can be due to such gentle touches as even a sonic wave from a finger snap. Anyone have any hard information on this? When I learnt how to elicit spinal reflexes as a medical student I was taught that weak or absent reflexes can be strengthened by “enhancement” which consisted of actively increasing the tone in another muscle group, for instance by locking both hands together and trying to pull them apart. It sounds as though step 1 as you describe is intended to enhance various spinal or cortical reflex responses to the stimulation applied in step 2. The only thing I would imagine that snapping the fingers might do is to elicit a startle response to the unexpected sound. I suppose some of these techniques might tell you something about whether various neurological pathways are intact, but it sounds like an unorthodox way to go about it. Like it or not, Naprapathic Medicine is here to stay. The negative opinions I’ve read so far about Naprapathy are totally baseless. Naprapathic Medicine is scientific and more importantly evidence-based. These facts are the irrefutable and welcome argument from better-educated opinions other than the mental midgets spewing forth nonsense about a God sent profession, read above. It seems to me the negative opinions written about Naprapathic Medicine were written by competitors who obviously feel threatened by the success that Naprapathic Medicine now enjoys. The majority of the population have tried everything else and know what harm drugs, surgery and so called scientific physiotherapy can do. Bring the Noise!!!!! Long live Naprapathic Medicine. you are a doctor of what precisely? agreed. Evidence based alone is enough. People in pain need to feel better and are less duped by baseless opinions! Keep your need to be a critic for the sun is shining and I rather go out to play….cause I can…thanks to good Naprapathic healing! My community has a "School of Napropathy" and pretty much anyone seeking to make a fast back that can come up with 50K is sudenly a "Doctor." What I fnd really disturbing is the ways they have to market their industry. After all if Naptorpathy was so wonderull, wouldn't someone be benefitting, other than financially. There is zero evidnece anyhwere that shows that napropathy is any better than a massage. It is a gimmick, a con, a scam, nothing more. Our country used to have laws regarding healthcare marketing, and with the advent of the internet and the proliferation of content marketing, in our media, people are being duped. The most disgusing thing of all is that sleazy napropaths are using the so called opiate epidemic to market themsleves. There is zero evidence for any impact on presciption opiate use, or heroin, and other street drug usage, impacted by napropathy. The FTC used to regulate health marketing claims, but they dont any longer, allowing people like you to decpetively market their businesses. In Post Fact America, anything goes, and people like you ave taken full advantage of the lack of credible fact based information. At lest I have the satisfaction that comes from making a Napropath cry. Asking a few questions of a well advertised Napropath can bring them to tears. What is really disgusting and illuminating is asking the receptionist if the "Doctor" is an MD. They will dissmble on that question, as directed by their boss. Our American healthcare system more closely resembles a criminal conspiracy, than anythng beneficial, to patient. The adverse events from chiropractors, napropaths, and other quacks, are not tracked, and it is all by design. Wow I cant believe all the negative in regards to a Naprapath. Well I am a Naprapath and have been for 15yrs. I actually work with a medical doctor to help people in pain. And people who are on many medications. And have written a book about it. It’s called what happen when you touch the body. There are a collection of many cases over the years. And I would not call this magical it’s hard work. And correct the repetitive behaviors and they start to get better. So whoever wrote all the nasty things wait till you are in pain and cant get any relief u will be looking for a Naprapath. I have people who believe in it so much will fly from another state just to receive the proper treatment..also I had a gentlemen who had been I Vitanam war and had agent orange in his lower body. I saw him for over a year 1x per week. This man says I cured him. So I can keep going with many stories. Or read my book it’s on amazon. There are many sources of healing . Pills dont heal. Healing is in the mind and body. you have no idea what one understands by data, have you? Statements made without the benefit of intellect. Evidence is how the Patient feels after the treatment. If you are in so much pain that you do not know what to do when you walk into a Naprapath’s Office and leave feeling a hell of a lot better, then it is a “NO BRAINER”. You have never gone to a Naprapath, so what makes you so knowledgeable? 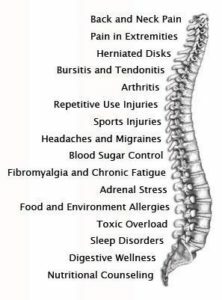 Who can you say you have helped restore their body back to a state of equilibrium? The Thousands of people I have helped know the real truth. You and your drugs have only helped your pocket and destroyed countless number of lives. You will never be able to stop the Alternative Medicine revolution with your filthy lies and ignorant pseudo-facts. Educate yourself idiot!!!!! Statements made without the benefit of intellect. yes, that describes your comment well! “Evidence is how the Patient feels after the treatment.” Oh dear, is this really what we have come to? Yes, we have also all recently learnt that there’s evidence that the earth is flat, since well, I mean it does kinda look flat, and I heard others think so too, so it’s not just me. I have been to at least 10 different Naprapaths during my life, and only once have I felt I got more than a good massage (which is not nothing) out of it. That time I got really good exercises that worked (to treat acute back pain). They were very simple however, and it was very reasonable that those gentle movement exercises would help; Any physical therapist (even youtube) could’ve done the same. The patient feeling better is NOT evidence (per se) of anything else than that the patient is feeling better. It’s good that they feel better, and it’s maybe even likely that it’s directly related to the specific treatment and not just that any pressure on that muscle would’ve done the same. The problem is calling things like that ‘evidence’, and convincing yourself that you have actually learnt anything real about how the human body works. That’s greatly underestimating how complex these systems are. So, the problem is not that they never do anything good, because I’m sure they do, whether it’s placebo or not; The problem is the often very unscientific attitude and approach to learning, where you take things for true or at least plausible on single (or few) occurances and pass them on without sceptisicism, creating a chineese whispers portraying as actual science, and even sometimes worse, becoming fundamentalism; e.g. If someone is curious how something actually works, and try to ask them about scientific explanations, instead of just saying there are none, and it just seem to work for most people, they take it as an attack and get very fundamentalistic about it. (This has happened to me several times.) They should be curious themselves and applaud it, and treat it scientificly if they’re actually interested in how things work. Please people, learning about how the world works and doing science has never been easier, you don’t need this. no, this is not what WE have come to; it is what quacks proclaim. “creating a chinese whispers portraying as actual science, and even sometimes worse, becoming fundamentalism”. I went to the source, and spoke with several napropaths and one cried. The poor guy had been inundated with phone calls from desperate people with pain, after a particularly good advertorial in the local paper. He was not prepared for people with actual painful medical conditions. Our area has few medical resources leaving a lot of people in desperate situations. These desperate people are easy pickings for these con artists. I was educated in science and facts, so I don’t fall for every false claim these quacks make. I also do not believe every bit of nonsense they post on social media, it is almost like a multi level marketing scheme. I also do not care how they spell their made up profession. If naprathy actually worked, would we all be using it? How about my friends acquaintances with arthritis, genetic disorders, long healed injuries, amputations, and multiple surgeries? Naprapthy was not designed for any of that. I bet I could get better results than any napropath, with a few massage techniques and positive talk! Don’t get angry and attack me, because you have been duped. I feel sorry for you. Well I think this group has found itself an appropriate spokesperson. Such an evidence based retort filled to the brim with scientific debate and data. Eeeexccuse me! No reputable scientific researcher anywhere has done an analysis of napropathy or compared it to either allopathic medicine or even nothing. There are no scientific studies to base this on, because no one is stupid enough to do them. Even the napropaths know that a real RCT would show no conclusion, or the fact that napropathy is not as beneficial as a massage. It was really clear from my interrogation of napropaths on the phone, they had no experience with people with certain conditions. All 3 were more concerned about payment, and scheduling than why I was seeking a treatment. They even tried to get me to commit to multiple sessions, before even seeing them, when I told them I would be paying cash. None of them offered any money back, if they could not cure me. They are seeking out patients who are gullible, and have money. They all used a few salesman’s tricks, to encourage me to make an appointment. Of course we have the napropathy school here, and they were duped into thinking there would be more demand for their services. There is absolutely zero evidence either way! I can only go on anecdotal evidence, and the people I know, who tried napropathy were less than enthusiastic about it. I do not view any of the studies, that napropaths claim supports their profession, as scientific. Would a naprapath explain why, if they wanted to be regarded as a ‘doctor’, they did not train, study and qualify as a MD before going on to study (and research) ‘naprapathy’ as post -graduates. What did they find so attractive about the ‘naprapathic profession’? What is it they thought becoming a naprapath would do that becoming a MD would not? Yes, I think this is a very good question, that I would also like a genuine answer to. This, like many other similar questions, should not be too hard to answer honestly and concretely. But, as I explained above, and we are seeing some examples of in this thread, it seems far easier to get fundamentalistic about it. Whatever you are trying to protect, you are not doing it well by succumbing to anger and namecalling. Atleast show your own field some respect, and treat it with curiosity. There’s nothing more wonderful than all the things we do not know about how the world works, and we know zilch about the methods of naprapathy, so go out there and explore if you like it soo much. Do not make it your religion. Looks like you blew your bugle and summoned every low lite scientific mind in America to your defense. The fact still remains that Naprapathic Medical treatment is still a hell of a lot better than Opiate addiction, which only places a mask over a problem and creates drug addicts in America. When you can actually help rid the world of pain and suffering you may then blow that horn. Dear Richard Rawlins so is hypnotism. In all of your long, long training can you say you personally have helped anyone? Ordering exams after exams only to prescribe medication that cures nothing. Sounds like another two-bit drug dealer who doesn’t have to stand on the corner to me. Fortunately, all Medical physicians are not created equal. Many are Ethical and welcome all disciplines who contribute to eliminating pain and suffering of mankind. These are the opinions I listen to and respect. All I’m hearing is negativity coming from the bowels of humanity. Don’t waste your time with a response because no one will be listening. Have a good life!!!!!!!! they evidently do not teach logic in Napra-School! i.e. the ones who refer you patients. I have also learnt that it is wise not to annoy people who might direct work in my direction. In fact, when I was a junior doctor there was a senior radiologist who was often rude to trainees, including me. As it happened some 15 years later I became a consultant in the same hospital, and I never referred him any private patients. It’s funny, it doesn’t do that very much in the UK. I have prescribed a lot of opiates for cancer pain over the years, and indeed received them myself for a while when my T12 vertebra collapsed due to myeloma. I never encountered any addiction. The problem isn’t the opiates, it is the way that they are prescribed by physicians with no training in pain control or in how to use them safely and effectively, as well as the widespread use of illegally manufactured and sourced opiates, which for some reason are referred to as “prescription drugs” even though you don’t need a prescription to get them from a dealer. Allowing pharmaceutical companies to advertise direct to the public doesn’t help, either, and nor does criminalising drug use rather than approaching it as a public health problem. Faux-doctor “GREER”: you have a such a soft, kind demeanor and polite character that anyone would feel better just being in your company…irrespective of what scam you try to pull on them: Naprapathy, Scientology, chiroquackery, circumcision or manual coccyx adjusting. I’m sure you defend all of them with equal vigor. Though I do suggest you look into getting your constipation treated. It’s best to stop defecating through your mouth. Mr Greer, can you provide some robust published scientific peer reviewed and replicated evidence demonstrating that napratherapy is more effective than standard physiotherapy or that its distinctive claims are real and effective? If either of those does not exist then napratherapy is not evidence based in the way science based fields use the term. I’m going to try to refrain from giving an opinion but I have to say that about 5 years ago I was treated by an “old school” manipulative osteopath who “cured” me of 30+ years of suffering from chronic knee problems. After a few weeks, I discovered I was able to walk up my front porch steps with no pain and not having to choose odd angles for the first time ever. I was there to see the doc for some shoulder problems. I had been resigned to the fact that my knee problems were just something I had to live with unless I wanted to take pain pills, anti-inflammatories and muscle relaxers all the time.The D.O. pushed around on my legs and I guess my wincing clued him in. He did a pelvic adjustment and literally changed the way I walk. I cant’t tell you that he moved bones or muscles or changed the way my nerves work – I don’t pretend to understand the ‘mechanics’ of it. It did change the way I walk – shortened my gait. The MD’s and an orthopedic surgeon had advised drugs in the past. I still have an occasional flare-up of inflammation but it is now infrequent and minimal and only last a few hours to a couple of days – no longer the chronic condition that I suffered from almost every day for years! I don’t know how things are elsewhere but here in Texas it seems like the the MD’s carry their prescription pads in a ‘quick-draw” holster. New Mexico has an Osteopath school too. They might be helpful for some kind of conditions. I have an anecdotal story too, about by brother in law, and a recently graduated osteopath from the school in Las Cruces. The poor guy is retired and paid into his insurance his entire life. He was minding his own business sitting at a stop light, when an elderly lady tried to make the light, and then caught in the middle of the road, backed up over him. The poor guy was run over while sitting on his motorcycle. The elderly lady, a retired social worker, “heard something” as he ran him and his bike over. This guy not being one to make a fuss, refused an ambulance to the hospital. A police officer told him all they would do is give him acetaminophen anyways. In New Mexico even the police are medical experts. The ambulance checked him out, and there were no broken bones. He was more worried about leaving his bike on the side of the road than his condition, so he drove it home. After the adrenaline wore off, the swelling made it almost impossible to move so he went to the doctor. Of course there was not much they could do, he had difficulty walking, was still traumatized and he was black and blue. An X Ray showed no broken bones, yet his knew and pelvis had been run over by a car. After few weeks he was still unable to walk without pain, so he goes to an Osteopath. The Osteopath took one look at him, and decided he was a “Mexican” he is actually an American born New Mexican of Hispanic descent. the Osteopath decided that this guy a retiree from a state job, was just a scammer. The guy had insurance which he had paid for out of his paycheck for 40 years! The Osteopath made other racist and nasty assumptions about a guy that “did not want to bother anybody, when he was run over at a stop light. Apparently the school in Las Cruces did not prepare an ignorant racist for practicing his Osteopathy. Anyway my BIl was still billed for the consultation. His interaction has me thinking that Osteopaths are another scam. This kind of stuff is well documented in the medical profession too. These vulnerabilities are to be found in all clinical research where there is always an extraneous variable that can be argued to account for the variance. The author, in taking this fact in what are essentially findings in support of naprapathy and proceeding to the conclusion that therefore naprapathy is “quackery” is making a false and unjustified logical step.